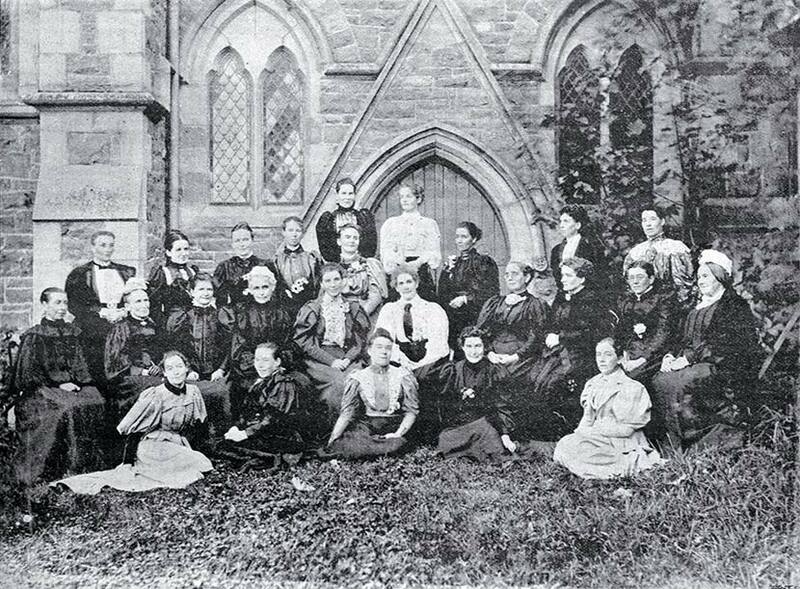 Delegates to a convention called by the Canterbury Women's Institute sit outside the council chamber of the Canterbury Provincial Council Buildings in 1896. The convention led to the formation of the National Council of Women. British members of the International Council of Women had suggested that New Zealand should have a National Council of Women. They asked Lady Anna Stout to be president, promising that Kate Sheppard would be secretary and do most of the work. But when the Christchurch Women’s Institute called a meeting to set up a national council, Sheppard was asked to be president. The split that resulted dogged the NCW for some years, and contributed to it going into recess in 1906.